Whether you’re hoping to make your home more comfortable to live in or trying to broaden its appeal for a quick sale, small updates can be a win-win. But home improvement projects can be tricky because if you spend too much, you may not get the return on that investment. To add value to your home, focus on two categories. First, adding function to the home is a given. You will love that update, and so will future buyers. 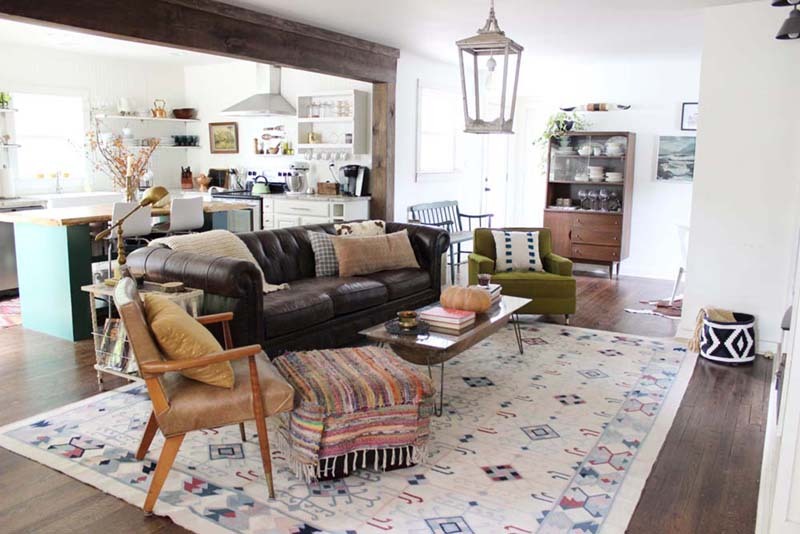 The second is adding charm and character, which will make your home a happier place for you, and can be an advantage when it’s on the market. For the relatively small renovation budget of $1,000, you can complete any one of the following projects, boosting the appeal and value of your home. Few things say charm and character like built-ins. 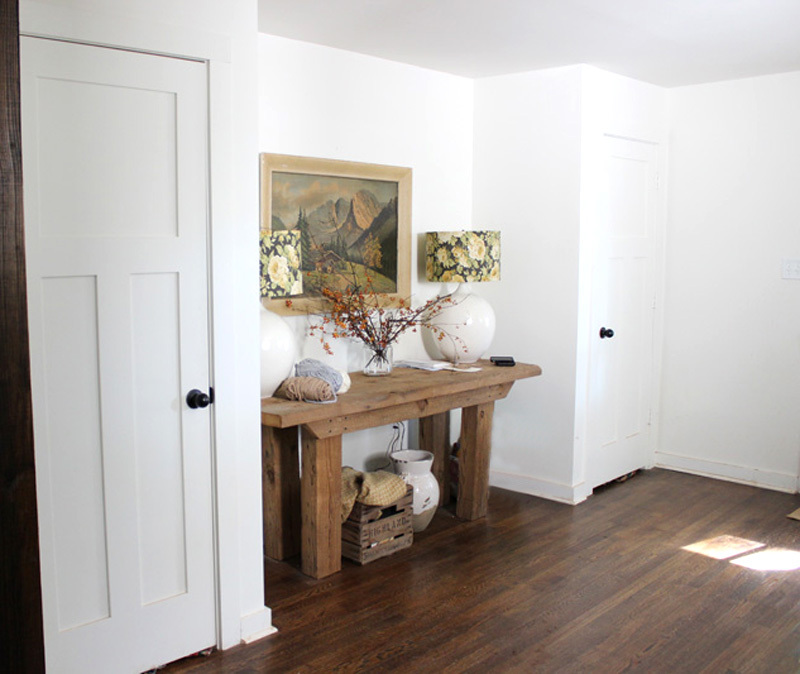 Take them floor-to-ceiling on an empty wall in your living space, dining room, or even hallway. To really boost the appeal, add sconces in between or over each shelf. 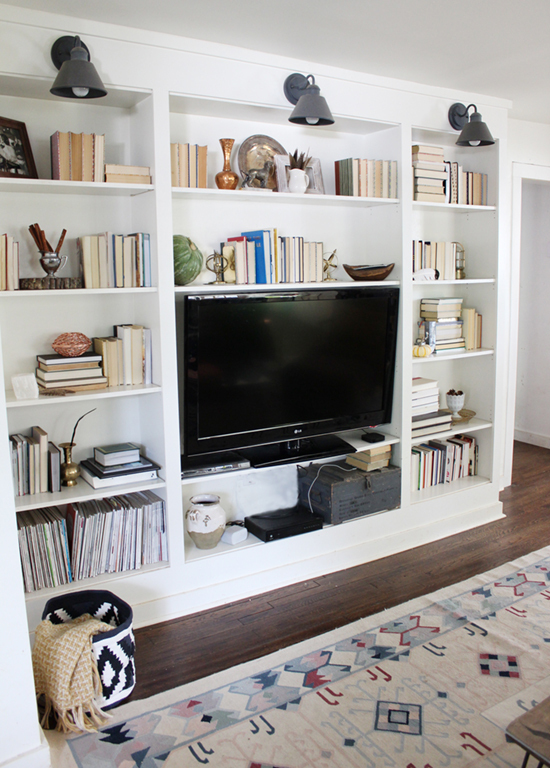 Not only do built-ins create a beautiful focal point in your home, they also increase function. They’re perfect for book storage, but you could also get a set of pretty woven baskets to store and conceal items. You get more storage without compromising the tidy look of the shelves. Wood beams instantly add appeal to your home. While this is purely a cosmetic upgrade, it’s one that will have you, your friends, and future buyers swooning. 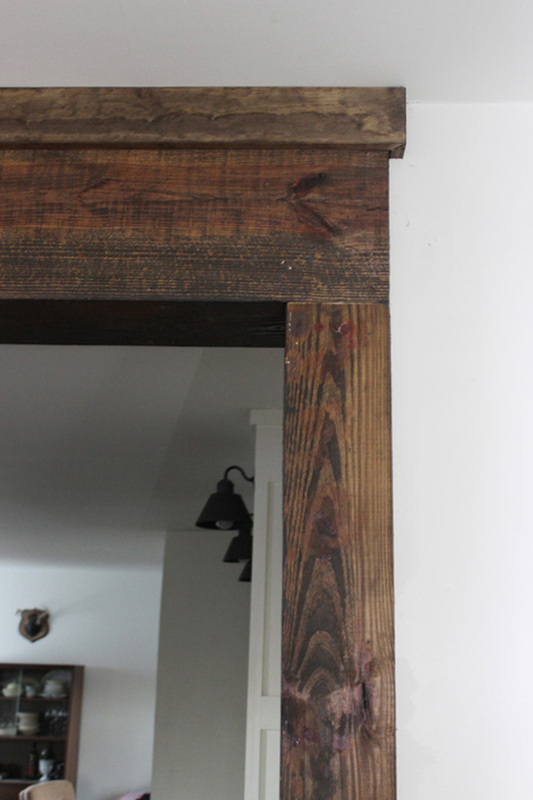 On any cased opening in your home, pop off the trim and use stained framing lumber to cover the sides. Run one long piece across the top and you’ve created the look of an actual beam for less cost. Adding beams increases your home’s charm and makes a real statement. It’s a perfect addition to entry ways or living areas. Adding closets to your home has the obvious benefit of providing much-needed storage. The issue, however, is that building a closet usually means taking a corner out of a room. You get the storage, but you’re left with an awkward protrusion into the space. Paired closets in each corner on a wall solve this issue — and you get double the storage. Paired closets look purposeful in a room, and their symmetry is visually appealing. This configuration creates a charming nook in between to place a table, bench, or even bed. You’ll love having the extra storage, and any future buyers will, too. After all, you can never have too much closet space. Regardless of which upgrade you choose, you can’t go wrong with these cosmetic and functional home updates. With a modest investment, you’ll immediately enhanced your home with charm and usability anyone would love.